Detention | Steven J. Barela, LL.M., Ph.D.
As judgments in different countries increasingly build on each other, mutual respect and dialogue are fostered among appellate courts. Judges around the world look to each other for persuasive authority, rather than some judges being “givers” of law while others are “receivers.” Reception is turning to dialogue. 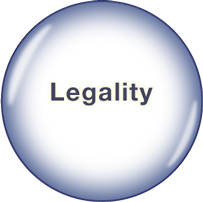 To initiate the application of our model of legitimacy we will begin with the lens of legality. To be sure, it is difficult to arrive at definitive conclusions about the illegality of a policy, even if the highest court in the land has ruled it so. It is extremely likely that there will be dissenting opinions, and thus fully extinguishing the argument for the legality of a policy is nearly impossible. Therefore we will speak to, as will be the case throughout this work, degrees of legality and not all-or-nothing conclusions. With that said, what we will find in this chapter treating the issue of detention without judicial review is that the US Supreme Court ruled in three different cases, using different bodies of law each time, that the administration and the Congress had overstepped the bounds of legality thus affecting the legitimacy of the policy and the regime employing it. Nonetheless, we will also see that the Supreme Court has fallen silent on this question under a new president after having stepped into the fray initially. 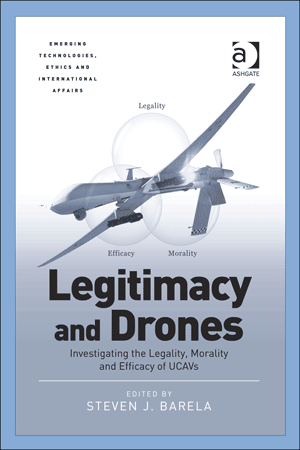 Much of the initial analysis put forward on the “war on terror”—whether they be on the use of abusive interrogation methods, a broadening of the rules governing the use of force, or the conditions of detention—concluded that this behemoth in global affairs abandoned their international legal obligations by analyzing domestic and international laws as inapplicable to their circumstances. However, it is suggested here that this characterization of the US can be understood as an oversimplification that obscures the more subtle role of the judiciary. The executive branch of the US is responsible for conducting military operations and executing the laws of the nation. As well, we know that international legal obligations are not contingent on the inner workings of a government or on internal law. Yet an analysis overlooking the interplay of all three branches of government would be incomplete. For a fuller discussion of the legitimacy of a policy it is necessary to widen our purview to delve into the work of the highest national court and how it managed the interaction with the executive and the legislature on the issue of wartime detention. As explained previously, the executive branch attempted to entirely exclude the judiciary from playing any role in the “war on terror” when the President signed the military order brought to him in a private lunch by the Vice President shortly after the invasion of Afghanistan. The order was intended to remove all courts (civilian, military, or international), to permit indefinite internment, and to limit all proceedings (if there were to be any at all) solely to the closed military commissions created by the President. This certainly is one of the reasons why two years after the opening of the Guantánamo detention center some notable jurists from other national jurisdictions began to publicly refer to this facility as a “legal black hole”. Due to the complete absence of applicable law, Guantánamo became a real diplomatic problem for the administration. If we understand “diplomacy in terms of international legal justification,” it is easy to understand why. Because the administration leaned heavily on international law for framing its policies, a broader view is particularly important in the US where the internal assessments over international obligations are often seen, rightly or wrongly, through its constitutional structure. Because the administration leaned heavily on international law for framing its policies, a broader view is particularly important in the US where the internal assessments over international obligations are often seen, rightly or wrongly, through its constitutional structure. This founding document divides the powers of government into three branches, and the result has many times been a passing along of the state’s international legal duties with each branch maintaining a plausible lack of responsibility. More recently, a manner in which national courts have dealt with this similar difficulty is by employing a “judicial ladder of review” meant to prompt an interbranch dialogue with the court playing the role of moderator. 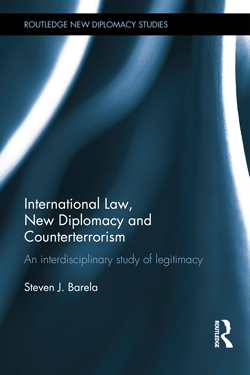 This chapter will analyze a series of cases that came before the Supreme Court of the US (Rasul, Hamdan, and Boumediene) relating to pertinent international norms in the “war on terror,” and which can simultaneously be found in domestic and constitutional law. Because certain fundamental rules are codified across different types of law, courts have found a novel way of late to provide protections for individuals across borders and regardless of citizenship by moderating an institutional dialogue. Through this investigation, we will see that the US Supreme Court indeed prompted such an interbranch colloquy with the executive and legislature in an attempt to affect the final legal policies of the nation. While the other branches of government implemented policies and passed legislation that poorly interpreted the applicable law, the highest national court methodically employed this novel judicial tool and took the historic step of eschewing the traditional deference shown by courts in times of armed conflict. In so doing, the Supreme Court was measured, patient, and resolute in its push back against the effective removal of judicial review for those held in detention at Guantánamo in the “war on terror.” Ultimately, this series of formal legal rulings from the highest court in the land reflected a diminished, and perhaps even played a role in further eroding, legitimacy for the policy and the authority that employed it. Because certain fundamental rules are codified across different types of law, courts have found a novel way of late to provide protections for individuals across borders and regardless of citizenship by moderating an institutional dialogue. By exploring the series of Supreme Court decisions between 2004 and 2008 together, rather than individually, a much fuller picture will be provided of how rights found in various categories of law, including international norms, played a role in the dialogue between the various branches of government. It was not too long ago that legal analysts pointed to a reticence of national courts to apply international law in the domestic setting so as to avoid any clash with the executive and thus to afford latitude in foreign affairs. However, more recently national courts have shown a growing propensity for a cross-fertilization of sources and jurisprudence, face-to-face meetings of judges in seminars and increased citation of international law in their judgments. Of course, this judicial globalization of sorts has not been a strongly identifiable vein in the US Supreme Court’s work. Nevertheless, one can see its influence in a passionate debate on the subject of the recourse to foreign and international law in a 2005 decision discussed below (Roper v. Simmons). Through an analysis of a series of more recent Supreme Court decisions dealing with the “war on terror” it will become clear that there has been a discernable tack in the direction of this global judicial trend. This is certainly not to say that the court has warmly embraced a global judicial community and has taken up a place at this table. Rather, it is to demonstrate that a fundamental international norm in play during counterterrorism efforts has indeed been consistently interpreted to be applicable through the use of various judicial tools, thus shining a light on the US Supreme Court’s current views of, and struggles over, international law. Traditionally, there has been great deference granted to the executive branch by national courts in times of conflict. Yet, in the current conflict, something different occurred when cases relating to the administration’s legal reasoning over detention and judicial review came before the US Supreme Court. Starting in 2004, the court began to push back against the Bush administration by asserting its own institutional competence in the Rasul v. Bush decision, on domestic statutory grounds, to hear habeas corpus challenges to the detention of foreign nationals captured abroad in connection with hostilities. In this same term, eight out of nine justices held in Hamdi v. Rumsfeld that the executive branch did not have the authority to indefinitely hold a US citizen on national territory without affording the rights of due process enforceable through habeas corpus, though no single opinion commanded a majority. Under quite different reasoning by the justices, the court roundly rejected the administration’s contention that it possessed a wide authority to detain persons under its constitutional commander-in-chief powers. Looking at the positioning of the Supreme Court after the term ended in 2004, it would certainly be difficult to conclude that it was acting as any type of protectorate of human rights or international humanitarian law. While the decisions indeed treated norms that exist in international law, but explicitly using domestic statutory law, they were limited and left a wide margin of flexibility to the other two branches of government to alter its course without insuring an adherence to international obligations by the state. The court had simply examined and ruled on whether the executive had been given, either through the Constitution or through statute, the institutional competence to act as it had in the specific circumstances. However, if we take into account the continued trajectory of case law before the Supreme Court dealing with detention in the “war on terror,” it is possible to discern what has been called an “emerging judicial theory” in a conceivably globally coordinated move. International jurist Eyal Benvenisti has theorized a “judicial ladder of review” which can be distinguished and charted in the recent rulings of national courts in various jurisdictions. The author briefly sketches initial steps of the Guantánamo decisions in the US concerning detention and judicial review and put forward his theory before the Boumediene case was decided in June 2008. This framework of a five-step ladder is enormously useful for explaining the progression of cases dealing with counterterrorism that have come before the US Supreme Court. Therefore, this theoretical structure will frame our analysis so as to delve deeper into the ascension of review that the judiciary climbed in its moderating of a dialogue with the other branches of government. At this point it is useful to provide an outline of Benvenisti’s “judicial ladder of review” and to exhibit how it allows the court the ability to moderate an interbranch dialogue. This framework is based on the proposition that the judiciary prefers to affect final policy with a low profile and with as minor amount of intrusion as possible. To do so, it aims to engage the legislature as a potential ally in the task of containing the exercise of authority by the executive. Yet, if it is unable to manifest a partner to share the burden, the court holds the option of ascending the ladder alone. The intent is for the judicial branch to encroach as little as possible onto the executive’s authority during a time of conflict, and thus it tailors its responses to the political circumstances and opts for a more deliberative process involving all three branches. However, it should not be overlooked that it is the judiciary that holds the tools to manage this process and thus chooses how and when to ratchet up or down the ladder according to its own assessment. 1. The least controversial technique is for the judiciary to refer an action back to the executive for reconsideration. 2. The next rung of the ladder is to address domestic statutes so as to call for legislative clarification of the executive’s authority to act. 3. Subsequently, the judiciary may refer to substantive limitations found in international treaty obligations (one of the more interesting facets of this ladder, because it was not that long ago that courts shied away from its reference) thus constraining executive and legislative discretion. 4. If the bench is still not satisfied with the outcome, it may invoke constitutional restrictions on specific parts of a legislation but allow for re-legislation. 5. Finally, and ultimately, the court may well ascend to the height of this ladder and rule a measure utterly infringing upon constitutional safeguards and thus beyond the scope of authority of either branch. As this is a view of legitimacy through the lens of legality, we will analyze the progression of engagement by the US Supreme Court with the other branches of government over executive detention without judicial review. Section II of this chapter will put the US Supreme Court’s current international engagement in a brief historical context and will then lay out the many different questions of international legality, from the perspective of both humanitarian and human rights law, raised by holding persons without access to any sort of judicial review. Section III investigates the Rasul decision and looks at the manner in which a unique familiarity with previous case law gave one Supreme Court justice an intimate knowledge of the controlling jurisprudence that ultimately had an important impact on the judgment. Next, Section IV will investigate the court’s direct use of humanitarian law in the Hamdan v. Rumsfeld decision and its distinctive interpretation of Common Article 3 to rule on the applicability of a portion of the Geneva Conventions to the “war on terror”. Section V will assess the Boumediene v. Bush decision and discuss it as a human rights’ advancement in substance, even if the decision was based on constitutional law. At the same time, it will address the missed opportunity for creating a more harmonious concert between constitutional and human rights law that should be lamented. Section VI will then look into how the various branches have dealt with the question of legitimate detention during the Obama administration’s first term in office while the Supreme Court has opted to remain on the sidelines. Lastly, Section VII will conclude with the relevance of detention under a new strategy and what diplomatic implications this portends. As a result, we will arrive at a sharpened view of the issues of legality with the policy of detention repeatedly declared outside of the law, and thus having a direct impact on legitimacy. HEUREUX-DUBÉ, C., ‘The Importance of Dialogue : Globalization and the International Impact of the Rehnquist Court’, (1998) 34 Tulsa Law Journal 15, at 17. See Vienna Convention on the Law of Treaties, Article 27 (Signed 23 May 1969, Entered into force 27 January 1980) 1155 UNTS 331; see also ‘Applicability of the Obligation to Arbitrate under Section 21 of the United Nations Headquarters Agreement of 26 June 1947’ International Court of Justice, Advisory Opinion, 1988, No. 88/12, para. 57: “It was sufficient to recall the fundamental principle of international law that international law prevailed over domestic law, a principle long endorsed by judicial decisions.”; ‘Greco-Bulgarian Communities’ Permanent Court of International Justice (PCIJ), Advisory Opinion, 1930, (ser. B) No. 17, at 32: “the provisions of municipal law cannot prevail over those of the treaty”; ‘Treatment of Polish Nationals in Danzig’ PCIJ, Advisory Opinion, 1933, Ser. A./B., No. 44: “a State cannot adduce as against another State its own Constitution with a view to evading obligations incumbent upon it under international law or treaties in force”. STEYN, L. (House of Lords) ‘Guantanamo Bay: The Legal Black Hole’ (2004) 53, 1 International and Comparative Law Quarterly 1. 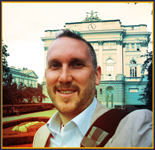 HURD, I., “Law and the Practice of Diplomacy,” (2011) 66, 3 International Journal, at 581. See e.g. BIANCHI, A., ‘International Law and US Courts: The Myth of Lohengrin Revisited’ (2004) 15, 4 EJIL 751. See BENVENISTI, E., ‘Judicial Misgivings Regarding the Application of International Norms: An Analysis of Attitudes of National Courts’ (1993) 4 EJIL 159. See SCOBBIE, I., ‘”The Last Refuge of the Tyrant?”: Judicial Deference to the Executive in Time of Terror’ in BIANCHI, A. and KELLER, A. (eds. ), Counterterrorism: Democracy’s Challenge, (Oxford, Hart Publishing, 2008) pp. 277- 312; On wartime jurisprudence, see also BENVENISTI, E., ‘National Courts and the “War on Terrorism,”’ in BIANCHI, A., (ed.) Enforcing International Law Norms Against Terrorism (Oxford, Hart Publishing, 2004) at 309-15; Notably, the issue was also treated in Justice Jackson’s dissenting opinion in Korematsu v US, 323 U.S. 214 (1944): “military decisions are not susceptible of intelligent judicial appraisal. They do not pretend to rest on evidence, but are made on information that often would not be admissible and on assumptions that could not be proved […] Hence courts can never have real alternative to accepting the mere declaration of the authorities that issued the order that it was reasonably necessary from a military viewpoint”, at 245. Rasul v. Bush, 542 U.S. 466 (2004). Hamdi v. Rumsfeld, 542 U.S. 507 (2004). BENVENISTI, E., ‘United We Stand: National Courts Reviewing Counterterrorism Measures’ in BIANCHI and KELLER, (eds. ), Counterterrorism: Democracy’s Challenge (Oxford, Hart Publishing, 2008), pp. 251-276. Hamdan v. Rumsfeld, 548 U.S. 557 (2006). Boumediene v. Bush, 553 US 723 (2008).